This photo was commissioned by a Miss A. Power of 43 Roanmore Crescent or 43 Roanmore Park in Waterford. 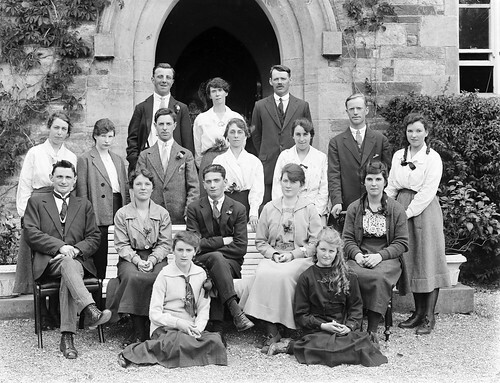 Thanks to desmondg47, we now know this photo was taken outside the entrance to the Pugin designed Presentation Convent building on Slievekeale Road, Waterford, now a health centre.